Temperature and humidity. Plug the bus I2C. 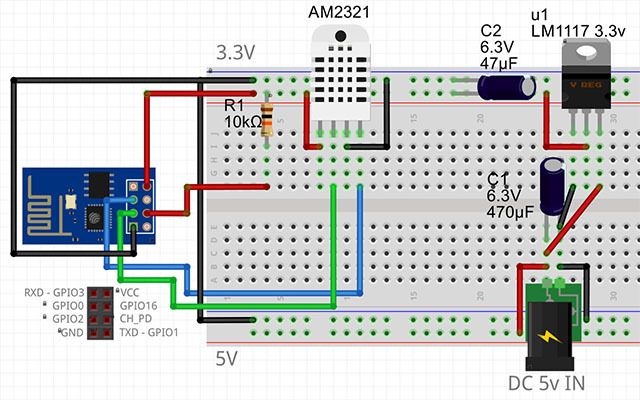 The sensor does not see I2C scanner - as it is in sleep mode.